I had a chance to speak with the owner of a new business that opened in Tampa Florida recently, Executive Anesthesia Solutions. I found the approach to this business very interesting as they go beyond simply acting as a consultant to the billing department, rather taking on a much larger consulting role within the business.. Jason Trudell, whom I spoke with explained that their approach was to bring some of the concepts of supply chain and logistics to performance management in the health care field. As with most industries tightening their belts the last decade, the world of medicine has made a substantial push to improve efficiencies and reduce waste. 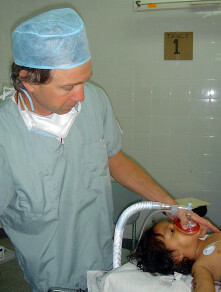 Anesthesia, of course, is no different. With years of experience both in anesthesia and the general business environment, Trudell's team brings a unique skillset to the table and helps clients provide strategies rarely seen in the world of medicine. EAS works with anesthesia groups to help valuate their group to the organization, surgeons and patients on procedures ranging from billing to within the operating room. Ultimately, they aim to quantify performance on a number of fronts, and develop strategies for ongoing measurement and improvement on a variety of measurables such as room starts, staffing, preoperative clearance, and others. Measuring and managing inefficiencies in the process leads to reduces costs and a better patient experience. More and more people are experiencing back problems, especially in sports. Football is just beginning to see steps being taken to prevent increasing numbers of injuries. Concussions are extremely common and can cause serious effects on the spine as well. Penalties are being imposed on the field for inappropriate tackling, helmets are being redesigned, and more care is being provided after a player is injured. Nevertheless, back pain may be a result of this constant contact or other normal activities. To help a person relieve this problem, Michigan Spine Center recommends some posture and sleeping tips to follow that will help improve the spine.